There are so many benefits of practicing yoga and breathwork, I don’t even know where to begin! Yoga is a physical, mental and spiritual practice that originated in India thousands of years ago. There exists an incredibly wide and diverse variety of styles, traditions, disciplines and schools of thought. Therefore finding the right style of yoga for you will help begin and to maintain a regular practice. 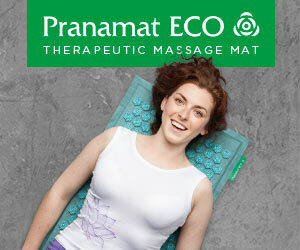 Reduces mental stress and physical tension, and as a result improves our memory and our sleep! We have so much healing power available to us. We can begin to experience many of the amazing benefits of practicing yoga that are offered from this ancient mind/body tradition, as a result of developing a regular practice; meaning, we don’t just try yoga one day, and don’t come to our mat for another month, but that we begin to develop the habit of a regular practice. If you really want to fast track the positive results of yoga, practice daily, but set realistic goals. Maybe you begin by practicing twice a week; it is all to easy to say, “I’m going to practice everyday!”, but as soon as we fall short of our new resolution, fall off and give up. So I believe starting slow and building up the momentum can be a more realistic way for many of us to begin to develop a regular practice! There are many different reasons that we may be drawn to begin a regular yoga practice, so finding a style that aligns with our personal intentions is important. We are all uniquely individual, and so are the many different styles of yoga that exist today! Are you just curious what yoga is all about, a nd want to try it out? Are you wanting the strengthen the physical body and improve your flexibility? Do you want to lower your stress levels, and improve your sleep? Are you an athlete that wishes to increase your range of motion and prevent injuries? Are you wanting to improve your balance and coordination? Do you have chronic back pain that is preventing you from feeling at ease and comfortable in your body? Do you want to do a challenging ‘work out’ where you vigorously sweat, move and breathe? Do you want to learn more about meditation? Are you wanting to learn to do a handstand or arm balancing? Do you want to learn more about Mudras (hand ‘postures’), and Mantras (singing, chanting)? Do you want to learn about chakras and sound healing? Are you just curious what the benefits of practicing yoga will be for you? All of these are unique, completely individual and totally valid reasons that we might want start a regular yoga. There are clearly a multitude of reasons for why someone might want to begin practicing yoga, and rightfully so, as there are so many benefits of practicing yoga that we can experience in different areas and aspects of our lives! Some people may claim that it is more noble or yogic to come to the practice for the meditation and breath work than for purely physical reasons, such as wanting to lose weight or have a more toned body; but I truly believe that we take what we need as we are ready for it, and there is a reason that the asana practice (physical practice) of the eight-limbed path comes before the pranayama practice (breath-work) and dhyana (meditation). If people are intially drawn to practice yoga because they want to become stronger, or learn how to do a handstand, there is nothing wrong with this! They may continue further down the path of yoga to learn more about breath-work and meditation, thus the people who may have never gone to a breath work or meditation class are able to learn more about it simply because of their interest in the ‘physical practice’ of yoga. I believe that we all have different motivations, desires, experiences and different ‘gateways to enlightenment’, and what works for one person may not necessarily be the way everyone else should do it!